Wonder how to make car reversing safer at night? Now you can easily upgrade your OEM dull incandescent bulbs with our premium LED replacement bulbs for reverse/backup lamps. We carry a large selection of backup LED bulbs in sizes such as 921, 3156, 7440, 1156, PH16W and powered by light sources such as CREE, Osram, Samsung with either 360-degree or direct shine design. 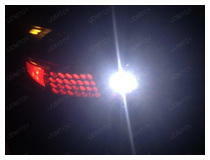 Enjoy some awesome LED lights for backup lights and no error message on dashboard on your Mercedes W204 C-Class. You will like this new look! Upgrade the look with a much sleeker, sportier profile by adding some super bright LED bulbs for the backup lights and license plate lights. Installation is very easy and the look is amazing. There are many necessary safety features included on cars. They have airbags, blinkers, seatbelts, and lights. 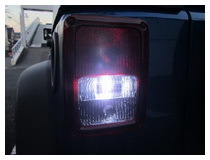 A good set of LED backup lights cannot be emphasized enough. They are beneficial in the daytime and nighttime, as they give other drivers an indication that you will be reversing out of an area. Without these valuable lights, other drivers wouldn’t be aware of what you are doing, and there could be accidents from that lack of knowledge. 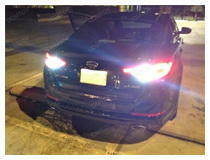 With that said, it is extremely important to have bright backup lights that will last for years to come. 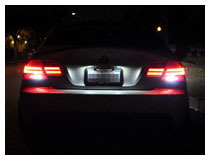 Our selection of LED backup lights are bright, and last longer than the standard lights already on your car. If you are planning on modifying your car, or if you need to replace yours because they have burned out, these are great choices, as they will burn brighter, and last longer. 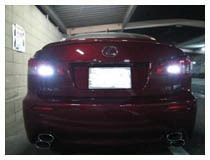 We carry a variety of sizes in the bulbs, that way you are able to find the best fit for your vehicle. We also carry a variety of wattages, that way you can customize your vehicle to the specifications you require. Some of our options come with one color option, which is a bright white, while others offer a combination of white and red. With a variety of brands, wattages, and sizes, it is easy to find something that fits just about any vehicle. It can be easy to forget about lights that we don’t often look at. For safety reasons, you should regularly check to ensure that all of your rear lights are functioning properly. 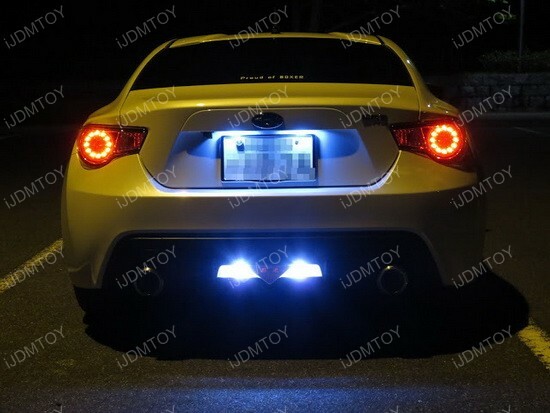 If you find that not all are, we make it easy to find replacement LED backup lights that will work better than the HID versions that your car originally had. Here at iJDMTOY, we offer a variety of products to help you modify your vehicle to be exactly what you want it to be. If you have any questions, please feel free to contact our customer service representatives. They will be happy to help you complete your order, or find the part to fit your vehicle.